A buddy of mine was in Copenhagen so of course he had to pick me up some…Swedish licorice? Hey, I ain’t complaining. First things first, I need you to understand just how large this bag is. With no exaggeration, I’m guessing it’s a pound and a half. It’s gigantic, and I like that. Also, points for the old school monkey. The licorice as well has a pretty unique look: black as you’d expect, with some sort of white powder coating. Is it sugar? Or salt? Admittedly, it’s a bit odd looking, but in the world of licorice, we’re talking about shades of black. There’s not a lot of wiggle room for presentation. I like how small the pieces are, because as you’d expect, they’re dense and tough. After eating my first piece, my taste buds were a bit confused: it wasn’t exactly what I was expecting, so of course, I continued eating. Hmm. Well…I can say now that while these are “ok”, they’re just not my thing. Which is really odd, considering it’s Swedish licorice. 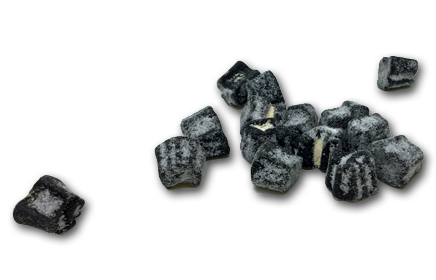 The reason why comes down to the kind of licorice this is. 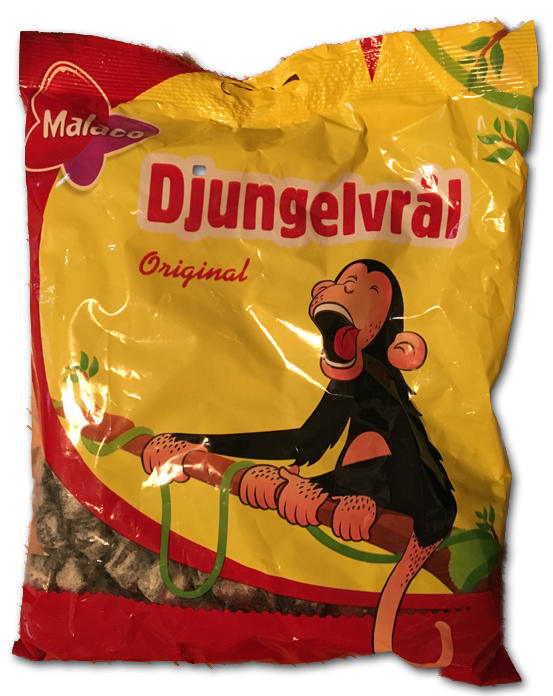 In my experience, with real licorice, there’s a few sub categories: straight ahead middle of the road, ammonia based salty licorice, non ammonia based salty licorice, and then there’s a fourth kind that (apparently) can be joined with any of the previous 3 varieties: molasses based licorice. Before I continue, I should let you know that I have no basis in fact for calling it molasses based: that’s just what it tastes like to me. Regardless of what it is though, there’s a molasses like overtone that permeates, and ultimately is at the core of the flavor of these kinds of licorice, and it’s not my jam. Maybe it’s because I don’t like molasses? We’ll never know. Or more likely we already know and that’s the answer. 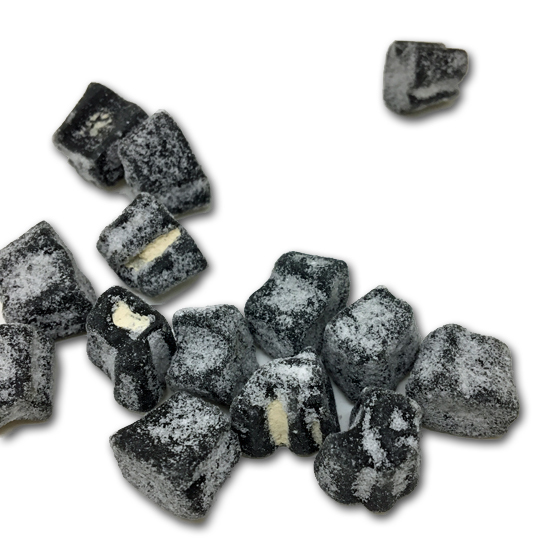 But the flavor profile is very clear on this kind of licorice, and for me, immediately noticeable. However, by no means are these bad. If you dig on the molasses style, this bag is likely hall of fame for you. I love the look, the size, the weirdness of the pieces, the salt level-I love it all, except for the,…ya know, …the taste. Is Molasses nutty and sweet? Or smoky and sweet. I think we need a post on just what molasses actually tastes like. It’s essentially the leftovers from when they make sugar. Minus one star for anything defined by being ‘what’s left’ after something else was intentionally created.